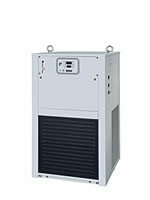 The spindle uses P4 level precision ball bearing then balance under G1 with low vibration and high Dynamic accuracy, exterior with oil jacket cooling, prevents the rotation thermal deformation. 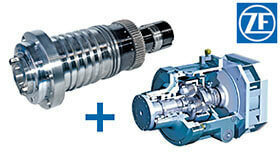 The spindle collocate German ZF DUOPLAN two speed gearbox. The lubricating oil through the cooler circulate the machine, for growth the gearbox service life and their cutting capability. P4 level precision ball bearing is oil chilled to reduce thermal deformation. Two speed ZF 2K 250 gearbox Full enclosure, high performance. X and Y axis used with the HGH series, Z axis used with the RGH series linear guideway for all four direction auto adjustment function, that can afford high precision, high speed, high rigidity, high load and low friction for advantage. 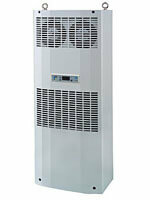 The promotion dynamic accuracy can show its cutting smooth energy conservation the high efficiency processing. Best feeding structure system: All three travels used the C3 level precision ballscrew, besides the design anti-collision protective device. The end point suitably advanced tighten to reduce the screw's heat deformation . 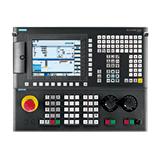 All machine used with the absolute coordinates system to match with the optical scale, to reach the working accuracy requirements. All travel positioning accuracy 0.01mm and repeatability 0.005mm. Gifu Enterprise Co., Ltd. 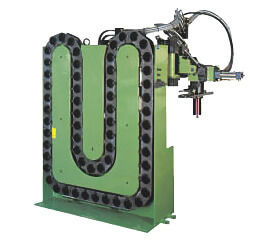 Plays a leading role in AUTOMATIC TOOL CHANGER (ATC) manufacturers in Taiwan. 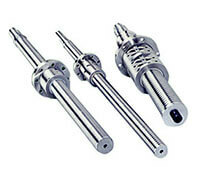 There are the highly reliable, highest efficient and cost-performance in CNC field. 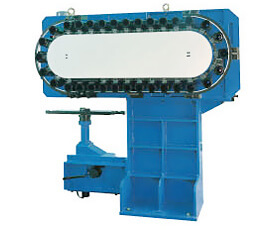 Prevent deviation of spindle center line or heat deformation of machine drive part and spindle unit. 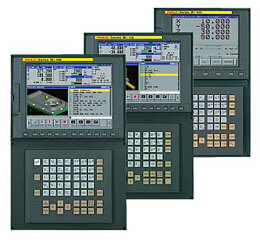 Extend the lifetime and increase precision of the machine. 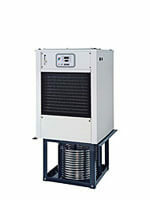 Open coil type heat exchanger can prevent the obstruction problem of liquid circulating system. The spindle vertical motion on the Z axis, it uses with double N2 gas-tank counter balance system, let the gas tank and spindle head automatically balanced. It helps the cutting condition and the spindle head move smoothly on the Z axis without vibration. Even if the emergency power off will not occur the slide down, also guaranteed that the cutting tool work security. 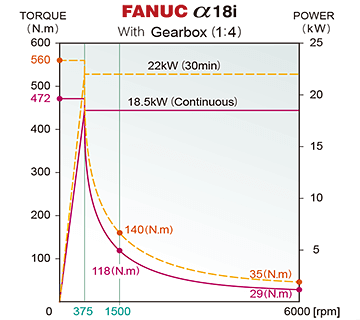 FANUC Series 0i / FANUC Series 0i Mate are the highly reliable and cost-performance CNC. 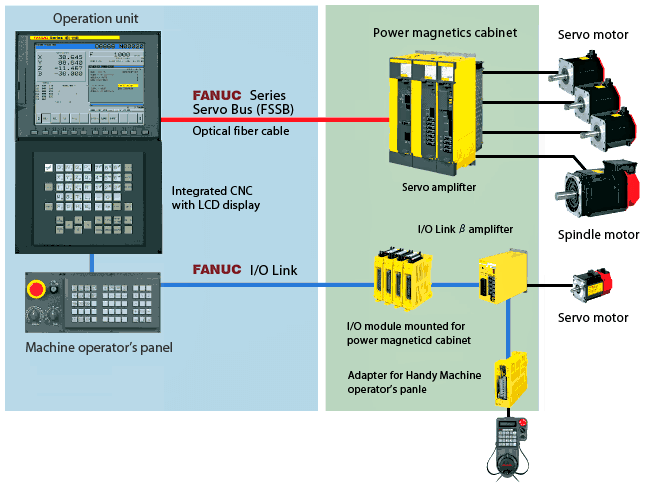 FANUC Series α16i / α18i / α21i - MODEL B and 18i-M MODEL B5 are series of Ultra-Compact, Ultra-Thin CNC integrated LCD and network features, for four-star double column machining center.